There are two kinds of people in this world: bath enthusiasts, and now, shower enthusiasts. Taking a bath or shower after a long day of work is often the perfect start to a relaxing evening. It can signal the brain that work has ended and play has begun. Here are 4 cool shower head products you should consider enhancing your shower experience with. Ramon Soler brand offers a shower head that offers much more than light therapy. It also uses music to provide the ultimate relaxation experience. The line is called Hidrocrom and the therapy is called hydrochromotherapy. What makes this product superior from the others is the extent of research and thought that was put into the modern chrome design and its functions. There are three programs to choose from; Wellness, anti-aging, and play bath. Wellness is designed to increase mental and physical well being. Anti-aging is designed to promote energy and balance. And Play Bath is a playful program with rainbow colors. You can also play all three programs one after the other for maximum benefit. The best part for music lovers is that the radio transmitter can pick up signal from a nearby radio or mp3 player. A water conservative, low flow shower head can reduce your water usage by up to 5 gallons per minute. 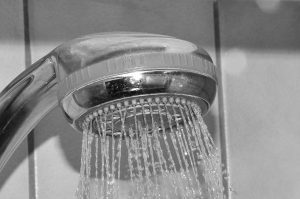 Those who are trying to time their showers can conserve as much as 20 gallons when shaving 5 minutes from their shower time using an older shower head model, but an inexpensive water-saving model can afford you more time in the shower with its efficiency. If you like timing your showers, especially in large families where water needs to be conserved and shower time is hogged by particular members, there is the Shower Manager, a timed shower head. Full flowing shower time settings include 5, 8, and 11 minute showers. A 60 second alert goes off, and the water is reduced to 1/3 its stream to allow you to finish rinsing before the flow is completely stopped! Delta has come out with a new model of shower technology called the Temp20. A digital display on the shower head tells you exactly the temperature of the flow, accompanied by the visual led color display that can tell you whether or not the temperature is safe for you and your family members. 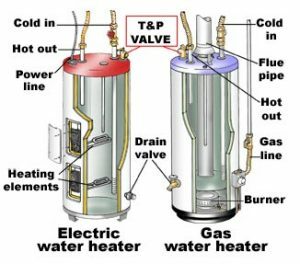 This is especially great for children, the elderly, people who are sensitive to hot and cold water, and those who really enjoy hot showers or use hydrotherapy in different ways. The LED shows blue when the temperature is below 80 degrees Fahrenheit and red when the temperature is above 110. A shade of light to dark magenta will show how hot the water is between, but the red indicates an unsafe temperature. The great thing is that the technology is employed on several designs to choose from and is not only one shower head for purchase. The technology can also be applied to tub spouts. This is one way to upgrade the home on its journey to becoming a smart house!